Using newspaper bags to carry your essential items is not only stylish but contributes to reducing carbon footprint. 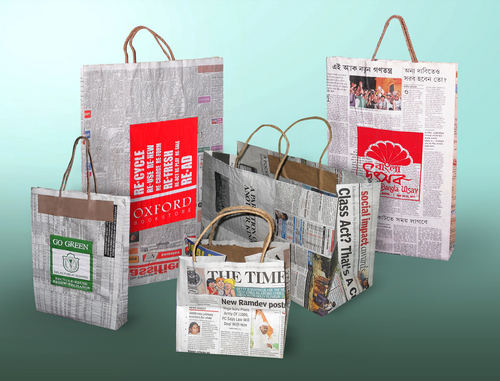 The eco-friendly bags boast of a rustic charm that comes from the beautiful pattern of closely set miniature fonts and black-and-white or colorful images printed on newspaper. 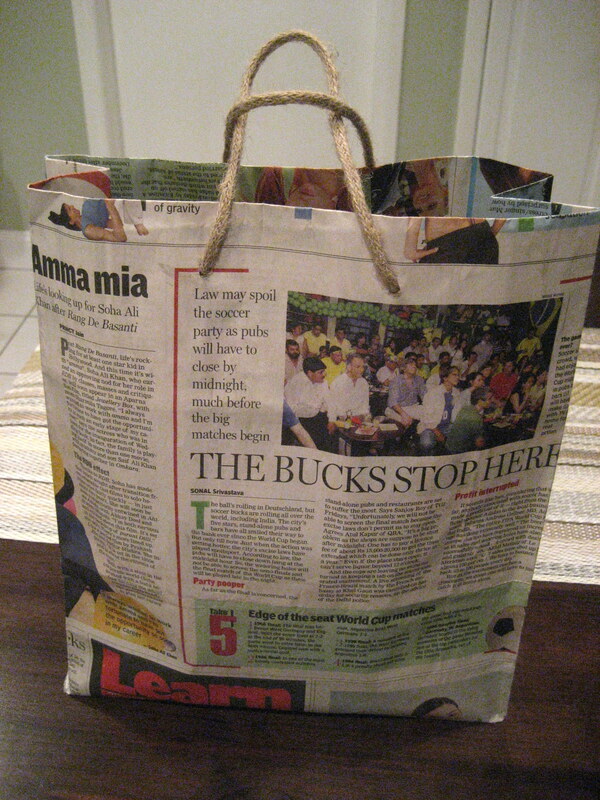 This pretty bag has been made from the comic strip section of a newspaper. 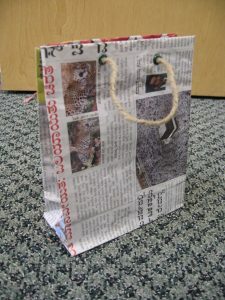 It provides a unique way of wrapping gifts for a child’s birthday. 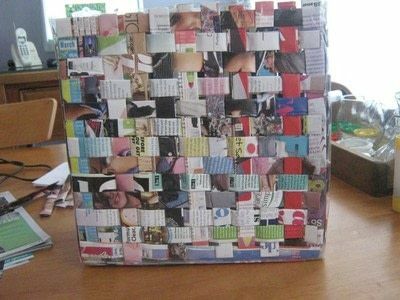 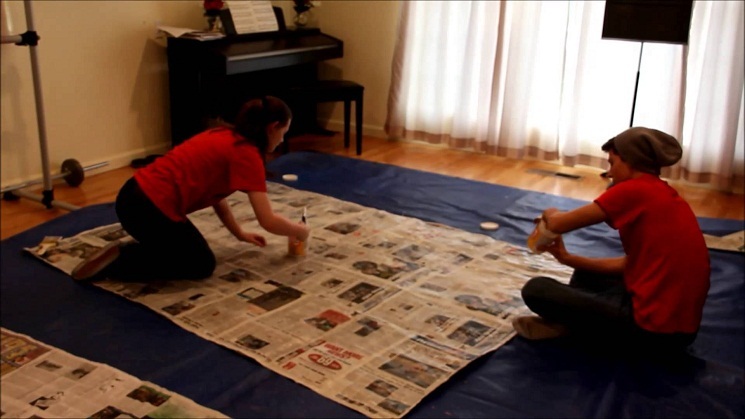 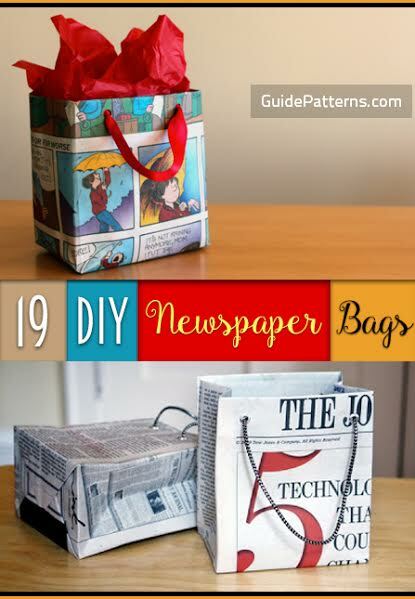 Utilize the bright colors on newspapers or magazines for nailing this awesome project. 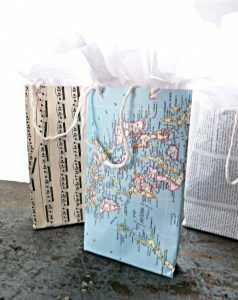 The narrow nature of the bags makes them suitable for carrying wine bottles to your favorite hangout. 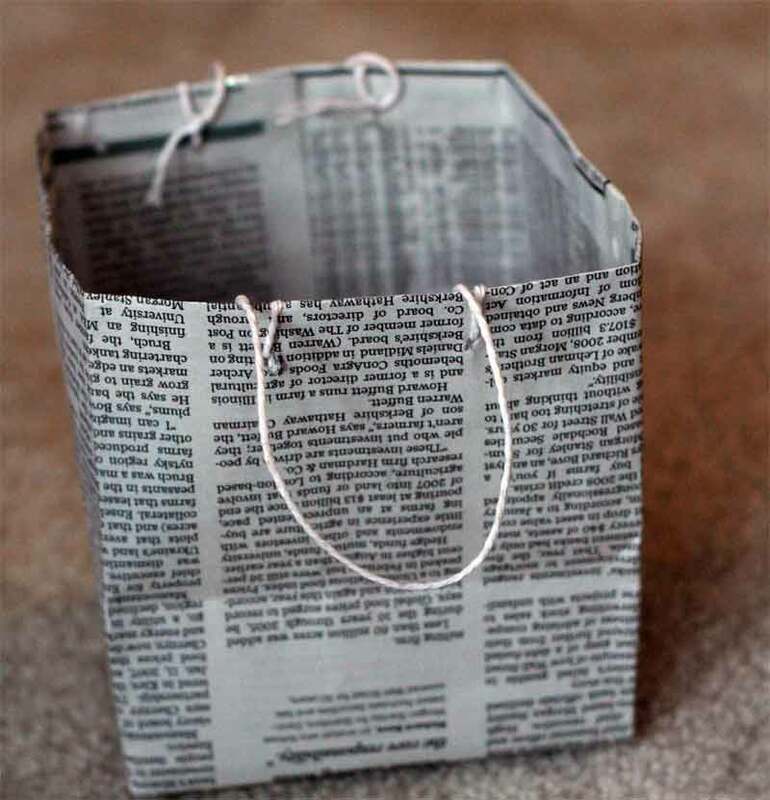 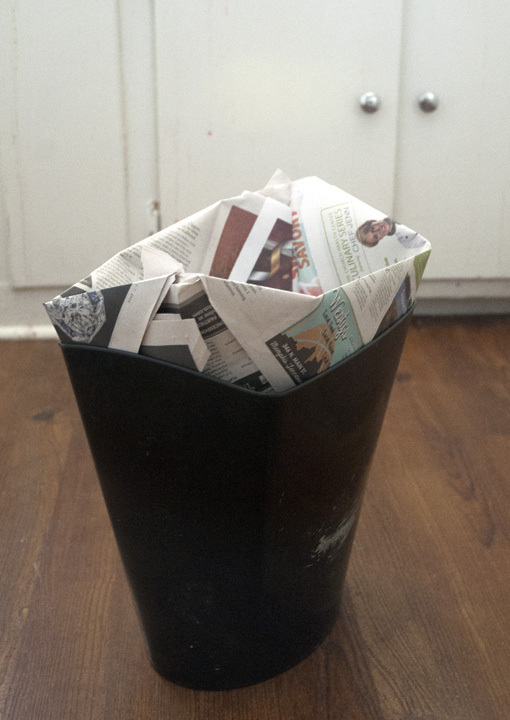 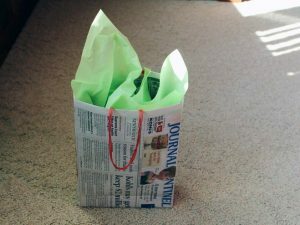 You will be surprised how perfect folding can transform your old newspapers into creative gift bags. 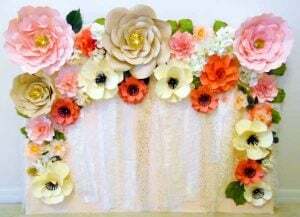 The artificial flower, button and ribbon decorations add pizzazz to its looks. 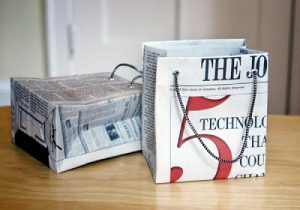 For this project, you will need a box having a size that matches the desired size of your newspaper bag. 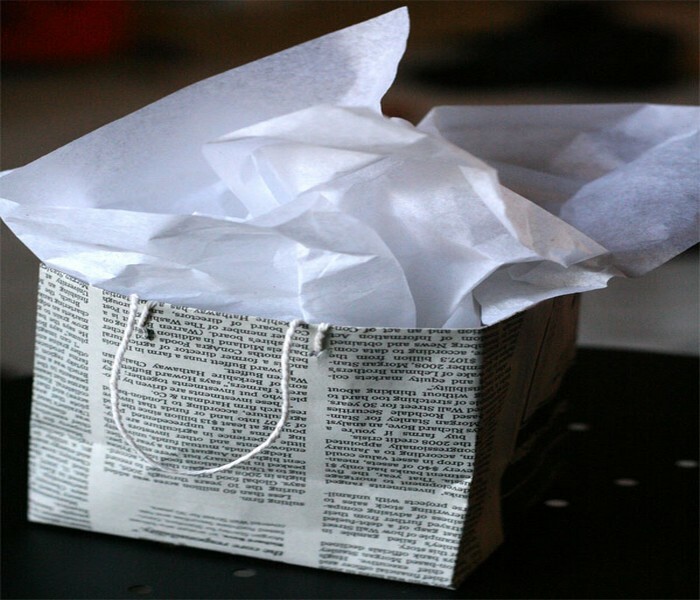 You will be wrapping the paper around the box, before making a way for removing the latter. You will find here a video tutorial to guide you through newspaper bag making. 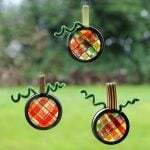 After making holes of appropriate sizes, you can slide in satin ribbons or any type of strings for the handles. 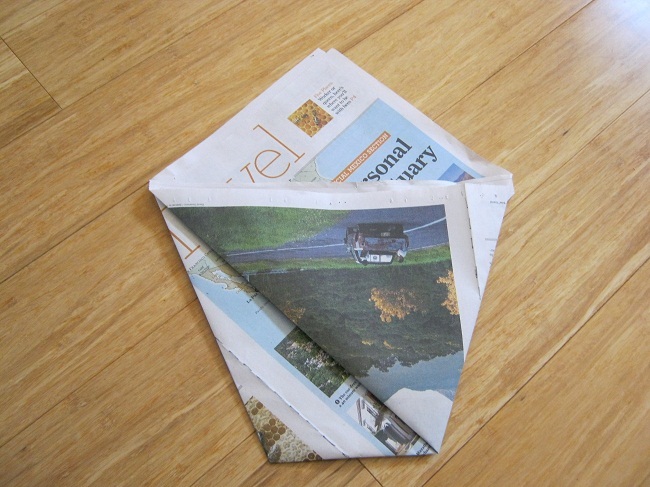 Work towards a greener earth with this DIY. 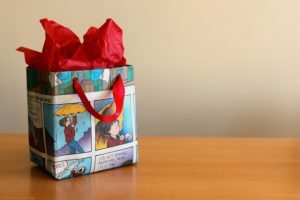 You can encourage your friends and relatives to use these by talking to them about its advantages. 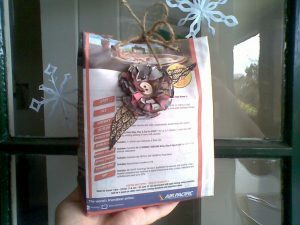 This tutorial will inspire you to make bags with newspaper utilizing the age-old tradition of origami. The linked post guides you on making a unique kitty litter bag. 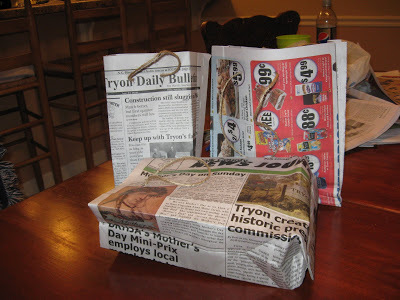 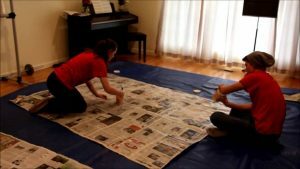 You will be amazed at how a bunch of kids makes cheap sleeping bags with newspapers. 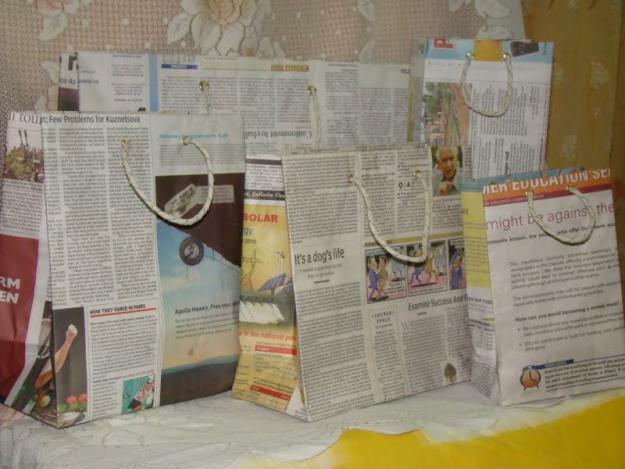 It is a noble initiative for helping the downtrodden. 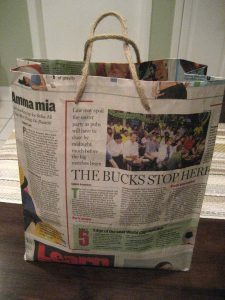 Your gorgeous arm candy is going to be the talk of the town when you go around shopping with it. 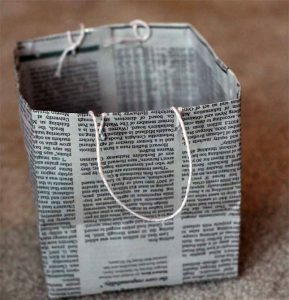 Take a printout of this template, trace the design o a newspaper, cut and glue the extreme left and right corners. 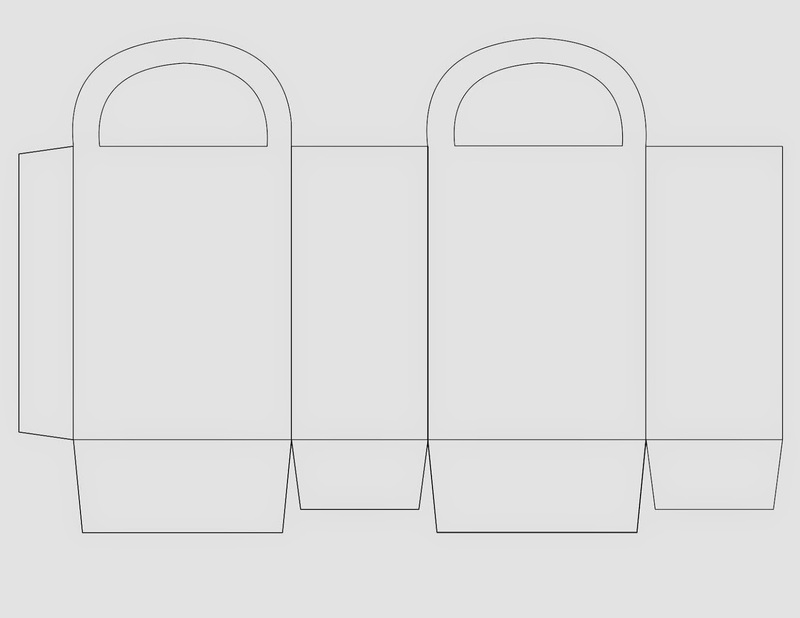 You would have to fold along the intermediate lines of the template. 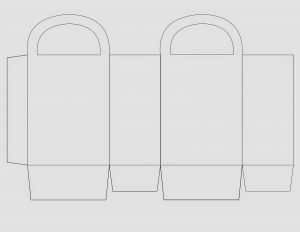 The outer edges just need to be cut. 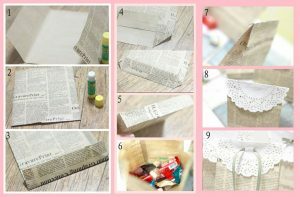 You can either make paper handles as instructed or go for attaching handles of any material of your choice. 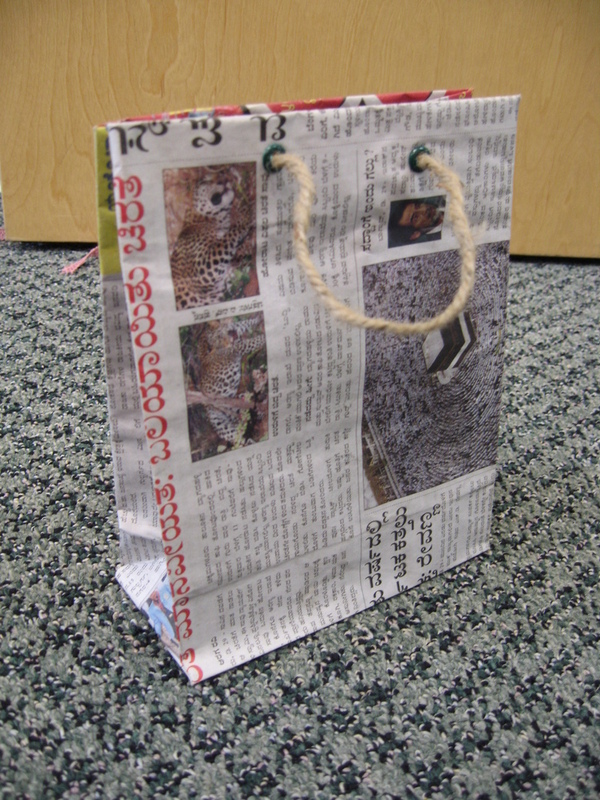 If you are choosing to put leather handles, be careful to reinforce the bag with enough batting. 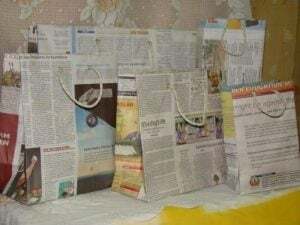 If you plan to make these delightful newspaper bags, it would be a good idea to collect the colorful and designed pages of newspapers over a few weeks before starting off. 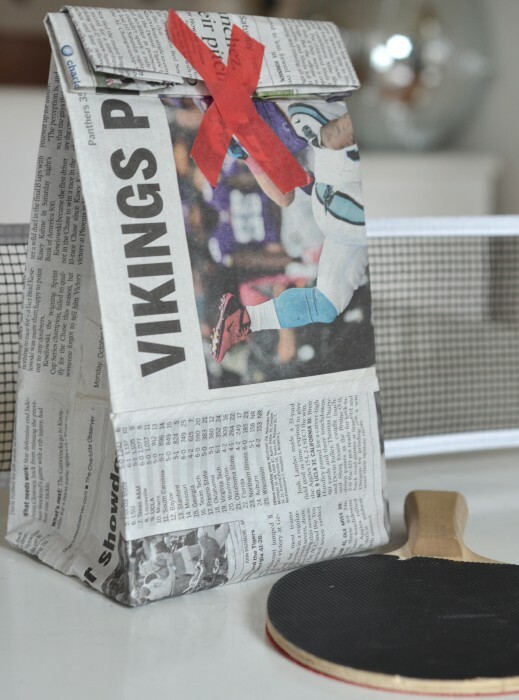 However, if you don’t want it to be too loud and love the original look of newspapers, you could begin with your trashed newspapers right away.